I now have a great selection of Jurmala hotels, in todays article the latest addition - Hotel Sunset on Pilsonu street in Jurmala. When traveling to or from Riga and looking for a cheap stay I prefer Jurmala (as it's close to Riga) or some suburbs in Riga. Although some might think Jurmala is an expensive city in fact - it's not. For a decent hotel room in Jurmala you could easly find value deals for about EUR 40. That's how we booked Sunset Hotel in Jurmala. There is a signboard saying - For Sale. If you are looking for investments in the Baltics, might be an interesting option. 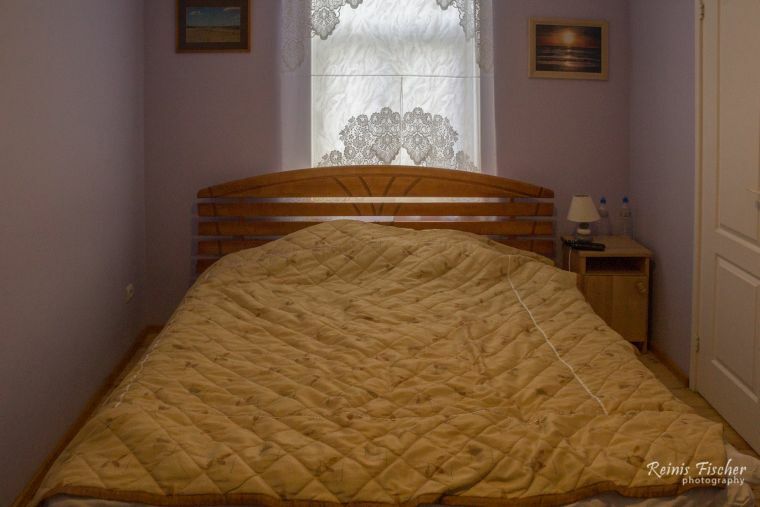 This property is 4 minutes walk from the beach. Only a 2-minute walk from the sea, the Sunset Hotel is located in the heart of Jurmala, just a few steps from the main pedestrian street and 5 minutes walking distance from the Dzintari Concert Hall. It offers comfort rooms with free WiFi and a private bathroom. Yes our queen size bed took all the room, indeed the room we get was tiny, but for a one night stay - excellent. Each room at the Sunset is air-conditioned and comes with a seating area and satellite TV. There is also a fridge. 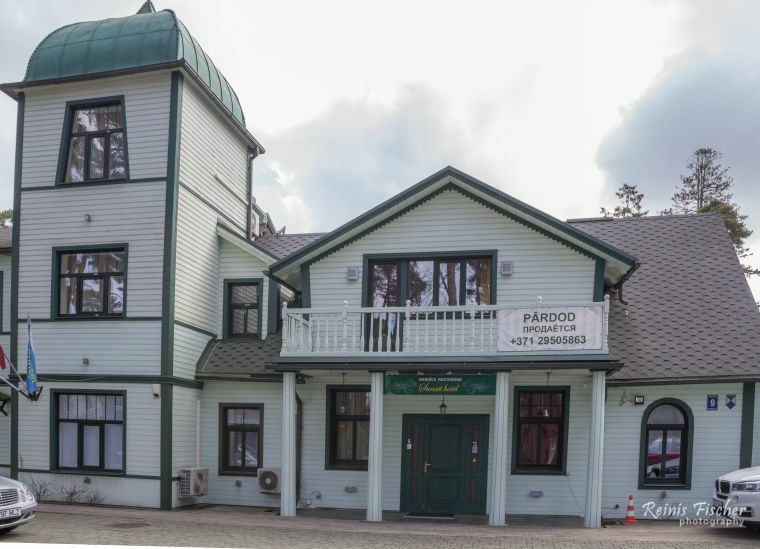 Housed in a UNESCO listed building, Sunset Hotel is situated only a 5-minute walk from a minibus stop and a 15- to 20-minute drive from Riga Airport.